Having a fifth grader makes Valentine's Day a little tricky. Having a fifth grade BOY makes it even trickier. I mean there is still a classroom Valentine's party, but he is a fifth grade boy and showing any kind of ooey gooey emotion is strictly forbidden. He is WAY too cool for such nonsense. Add hearts and too much of the use of the word "LOVE" and well you might as well just get ready for the, "AW MOM! Come on!" 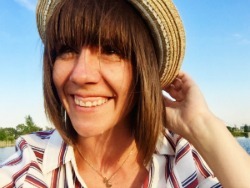 So what is a momma to do? First I made sure the classroom valentine involved food. Not heart-shaped food, but good old kid-approved snack food. Then I made sure that the actual Valentine was no nonsense and simple. I did make some with hearts, but just in case that was too much love and such I also made some with absolutely no extra signs of love. Geez BOYS!! 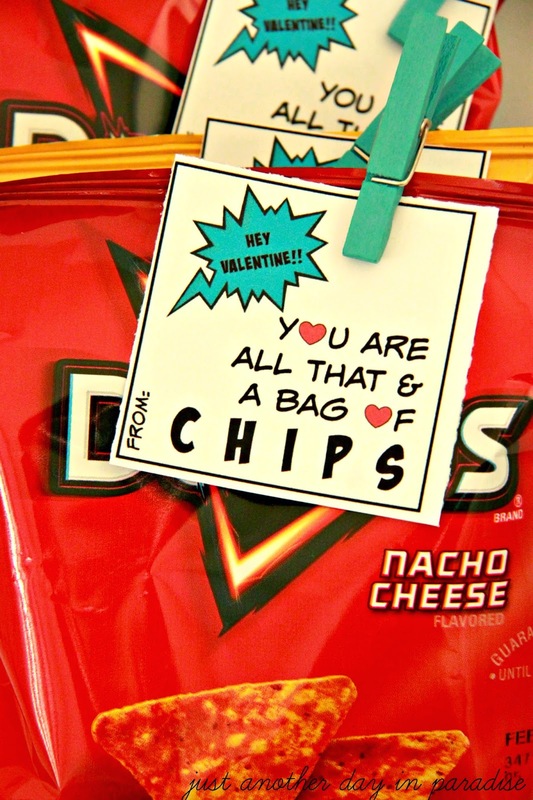 Anyway...the last piece of this fifth grade boy approved Valentine was to simply clip the Valentine on the bag of chips with a small clothespin. Luckily I found these really adorable coordinating clothespins at Michaels that were adorable enough for me but subtle enough that the boy did not notice their adorableness. 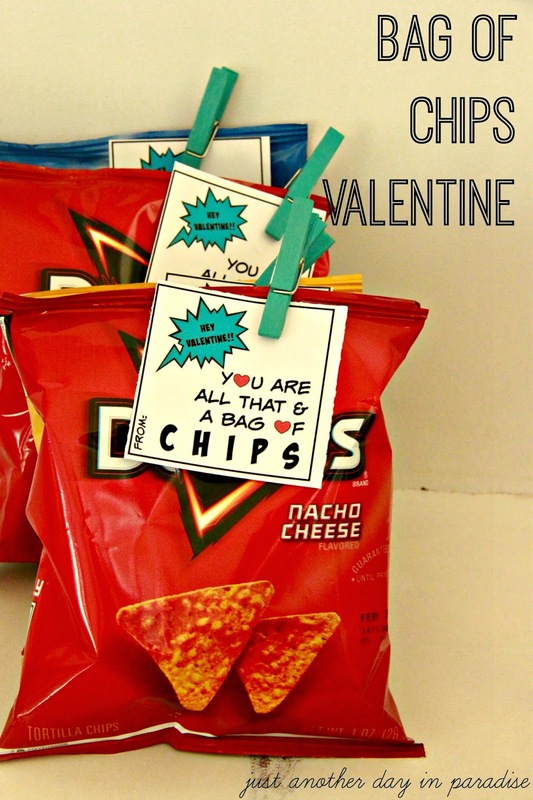 If you have an older student who is no fuss, these Valentine's are perfect. Here are the printables for you. There is one download with hearts, the other sans hearts. Just click on the link at the bottom. 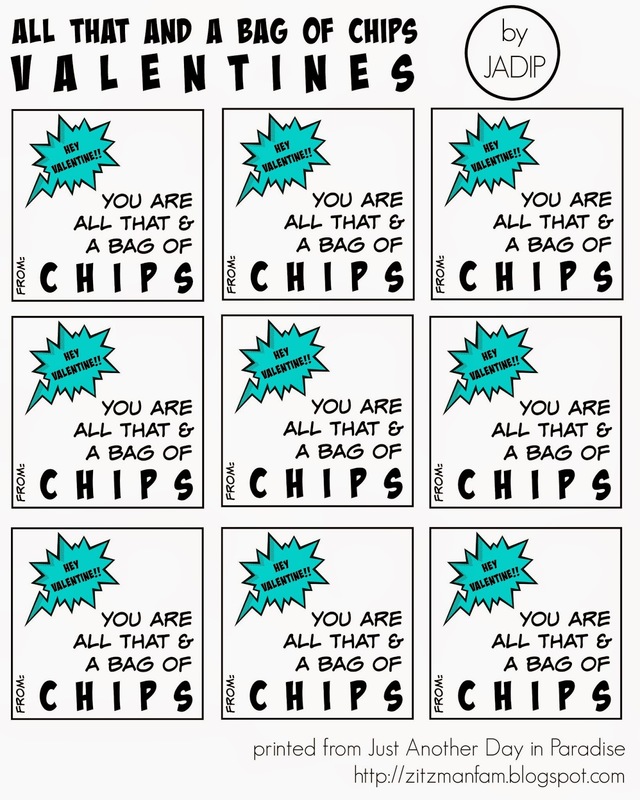 I probably should also mention, this is like the easiest Valentine to do ever. 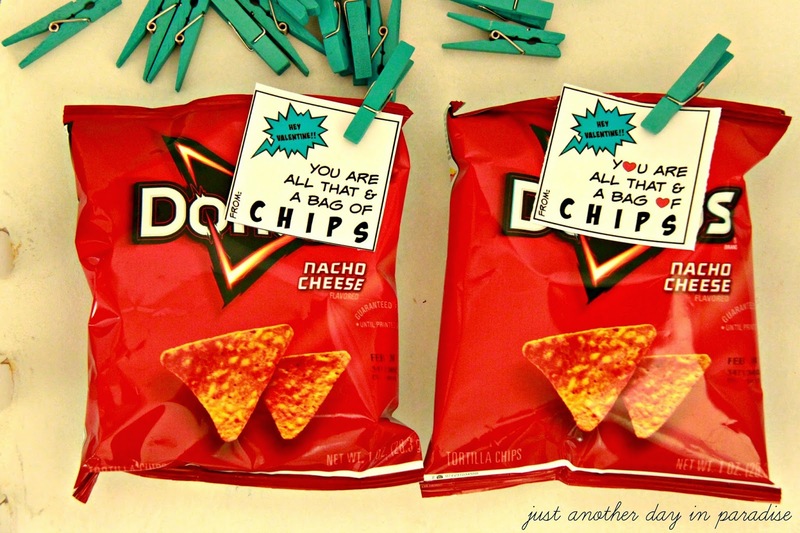 Then you will be the mom who is All That and a Bag of Chips. Hehehe. I kind of had to. 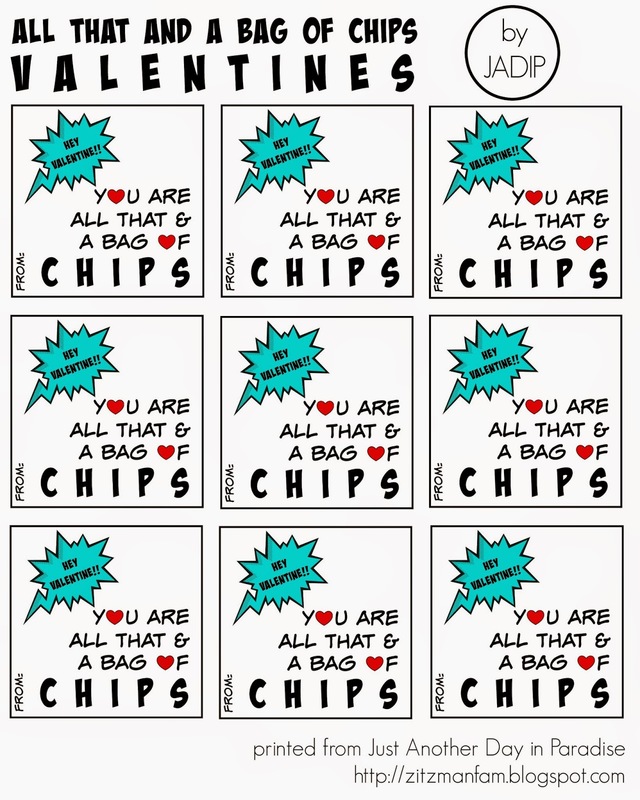 I shared some Classroom Valentine's in THIS post. Go check them out for more ideas.